The Internet is the most powerful resource for learning Spanish today. Not only are there countless websites to help you with all aspects of language learning, there are now all sorts of apps and browser extensions that can be used to help with your learning. Browser extensions are particularly useful because they allow learning with minimal effort. Once installed, they are simply there and can form part of your Internet browsing experience without need for further action on your part. Therefore they are a great tool for facilitating language immersion. There’s a lot of noise out there, and many different extensions out there to choose from. To save you some time, we have selected the best browser extensions on the web for learners of Spanish. This handy extension simply changes your New Tab page to a static Spanish page which allows you to search Google in Spanish, and provides a list of suggested websites in Spanish for your to browse to keep practising. It is also customisable, so you can add your own favourite Spanish web pages to it. So each time you go to open a new tab, you are prompted (if you weren’t already thinking about it) to add a little more Spanish to your day. As an added bonus, each time you open up a new tab with Spanish Immersion Homepage, it displays a nice new image from the Spanish-speaking world. Having trouble typing Spanish characters? Fed up being slowed down in your writing practise by not having a Spanish keyboard? No fear, Spanish Characters was conceived for just this purpose. The creator, Daniel Schon, developed the app when he found that it was a hassle to type in Spanish for his homework assignments in high school. This is an easy to use and highly convenient extension that will make your life much easier. With this extension you can add Spanish character quickly and easily with just a click of your mouse. This revolutionary extension allows you to translate any word on your web browser by right-clicking. Other features include word pronunciation (text to speech), transcription, synonyms, antonyms, definition and usage examples. You can then save your words into flashcards, sorting them into categories, and then revise them with the built in spaced repetition system for you to test yourself. There are also reminders built in for when you haven’t revised certain words for a while, and there is an offline mode too for exercises. Over 100 languages are supported, including, of course, Spanish. This extension is really just a quick link to the Pronunciation Checker web page, but it is a very useful tool nevertheless. It allows you to check and practise your pronunciation language using speech recognition, or by recording your own voice and playing it back. A number of languages are supported, including Spanish. There is also the possibility of importing your own audio, and the text-to-speech function allows you to type in text that you want to hear pronounced, for which you can choose from a selection of different voices. This awesome app is a little pop up that uses Google Translate to allow you to translate words that you come across, and supports translation on 91 languages (including Spanish). You can then save the words, create flashcards to review later and it even generates interactive exercises for you to practise what you have learned. The Language Immersion Chrome Extension works by translating randomised words on a webpage to a different language. For example, you can set it to Spanish and it will translate random words in this article to Spanish. You are able to set the language level between novice, intermediate and advanced. If you hover over a translated word you can hear it spoken, and clicking on it translates it back to English. This popular browser extension allows you to read texts in Spanish (and a large number of other languages), and translates words that you click on. All of the words that you translate are then stored as interactive flashcards, and space repetition is employed to help drill you on the new words and maximise your memory. It also prioritises words that appear more frequently in texts, deeming these as more important words, and you can also control this feature yourself by starring certain words that you wanted to be tested more on. You can also import texts into plain text with their web importer, including texts as big as entire novels. It can be used also on phones and tablets, and you can even customise the appearance (font size, colour, etc.) For unlimited full features, you will need to pay a subscription fee. The popular language website Reverso also has a browser extension. The powerful Reverso extension supports several languages (including Spanish) and allows you to translate words, including in PDFs, by clicking on them. All your translations are automatically saved and can be reviewed with Reverso’s numerous tools. You can even save web pages in reading mode and access them across your devices. Other features include text translations, spell checker, grammar and more. 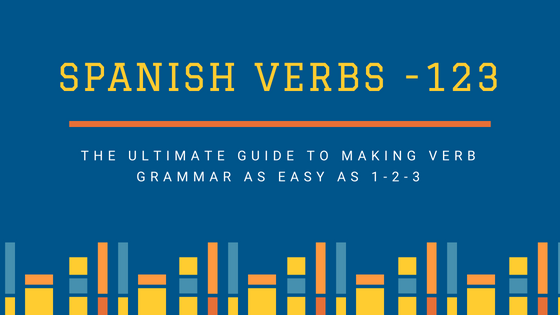 There’s now no reason for you not to load up your browser with a number of mostly free extensions that will help you along with your Spanish learning. Teresa is a writer, polyglot, traveller, language teacher and dancer from London. She blogs at theeurofiles.com where she shares her love for the languages and cultures of Europe.